Precision Mechanical LLC is a family owned heating, ventilating, and air conditioning contractor serving the metro Denver area. We are fully licensed, insured, and in compliance with all state and federal guidelines. We are your one stop shop for all your mechanical needs. We handle installation, repair, and replacement of many items including furnaces, air conditioning units, boilers, fans, evaporative coolers, and radiant heating systems. Adding a new furnace or air conditioning unit can increase comfort and lower your utility bills. 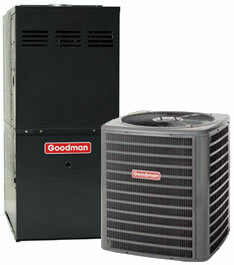 Goodman is our brand of choice because of its value pricing, excellent warranty and service. 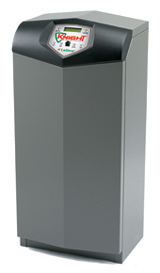 A boiler like this Lochinvar Knight is great for radiant / baseboard heat, in floor heat, and domestic hot water. We can design and install complete home and commercial systems to suit your particular needs and budget.